The 2019 Tokyo Auto Salon is coming up quick, so you know it’s a guarantee that Toyota would show up with something outrageous wearing a TRD badge. And, it is, in the form of the Prius TRD, but we’ll leave that for another conversation. Instead, I want to tell you about the Toyota Hilux Black Rally Edition that has TRD written, literally, all over it. 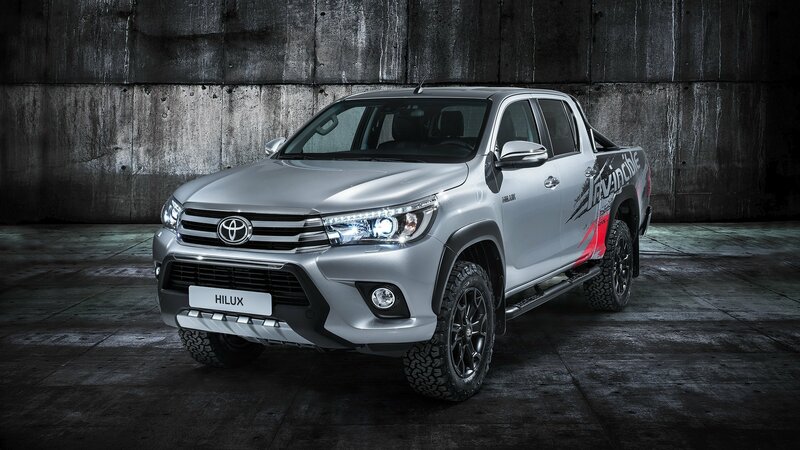 The toughest truck on earth – the Toyota Hilux – received a cool Gazoo Racing rework for Brazil. 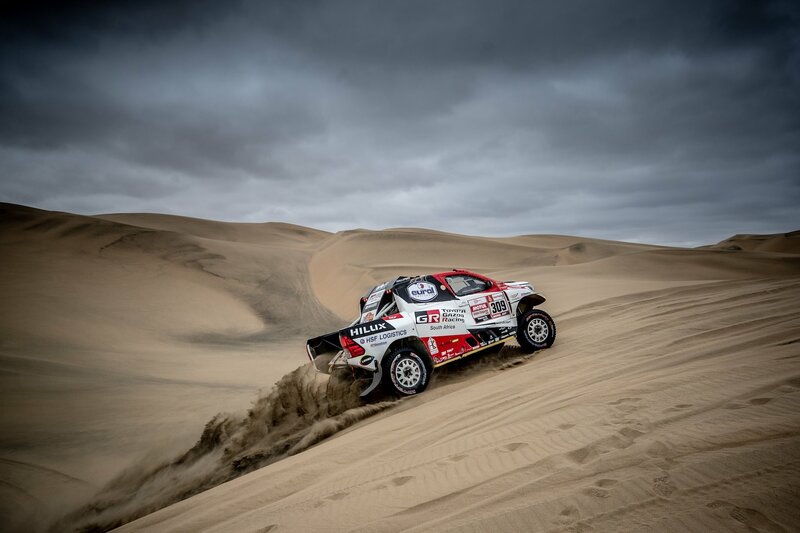 Introduced at the Sao Paulo Motor Show, the Toyota Hilux Gazoo Racing represents something one may even consider a Ford Ranger Raptor competitor. 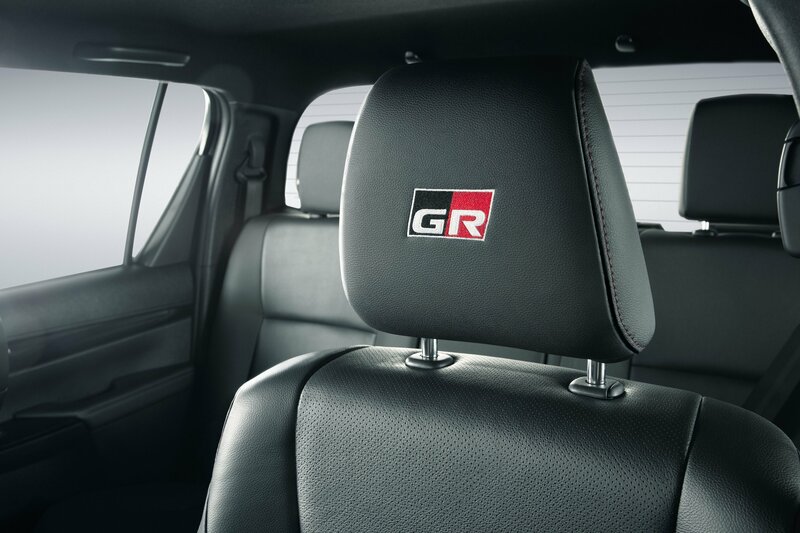 Yet, aside from being really cool, the Toyota Hilux Gazoo Racing introduces the whole GR brand in Latin America. Introducing it with a popular truck is only expected. This Double Cab Hilux has several Toyota dealership parts bolted on, along with a custom wrap, all designed to grab attention at the 2017 Frankfurt Motor Show. 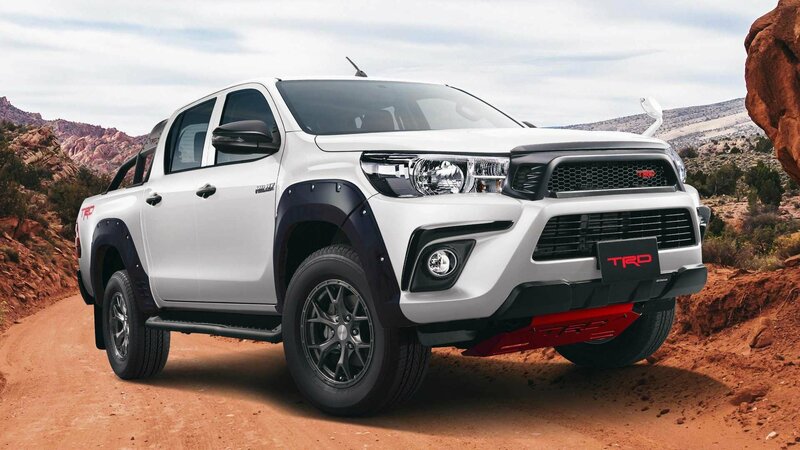 Toyota says the truck is “ideally suited to a broad range of both professional and leisure activities,” or basically, that a so-configured Hilux is at home on the job site and doing fun stuff on the weekend. Sounds like the automotive equivalent of a mullet hairstyle, right? Unlike the mullet, the Hilux’s popularity didn’t die in the 1990s. In fact, the truck is expected to sell more than 40,600 examples in Europe for 2017, besting its previous record of 40,104 sold in 2007. That’s pretty impressive, especially in a place where pickups aren’t the “it” vehicle to drive. 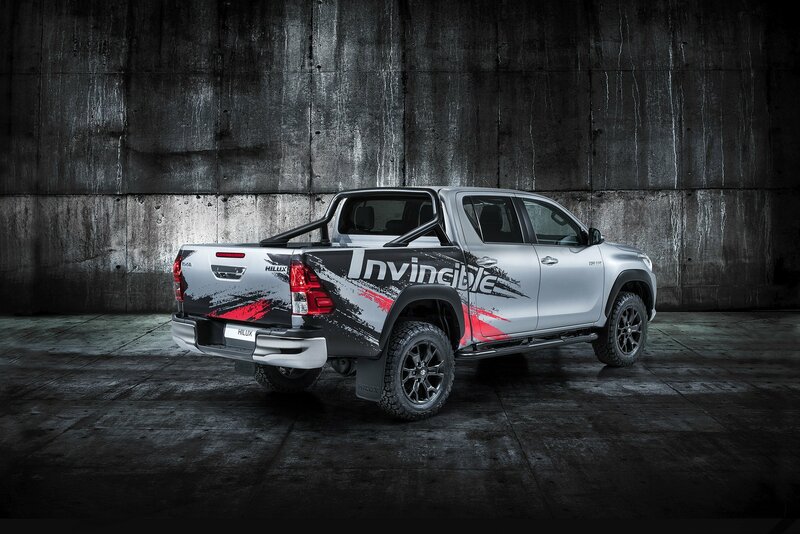 Perhaps Toyota’s expectation rides on folks falling in love with the Hilux “invincible 50” and its customized flair. Probably not, but let’s have a close look at this one-off show truck. Mercedes-Benz just made quite the splash when it dropped the new X-Class. Framed as the first truly “upscale” pickup truck, the X-Class intends on redefining the midsize segment with unprecedented levels of luxury and refinement. It might seem like a strange combination to mate luxury with pickups, but as Mercedes points out, “the number of pickups for private use is increasing. They are no longer viewed purely as workhorses.” As such, the X-Class aims to broaden the pickup’s buyer appeal, seeking out folks like “land owners and farmers in Argentina, business owners and building contractors in Australia, families with an affinity for premium products in Brazil, trend-conscious individualists in South Africa and Great Britain as well as sporty adventurers in New Zealand and Germany.” Sounds like quite the collection of buyers. But here’s the thing – is the X-Class really all that revolutionary? 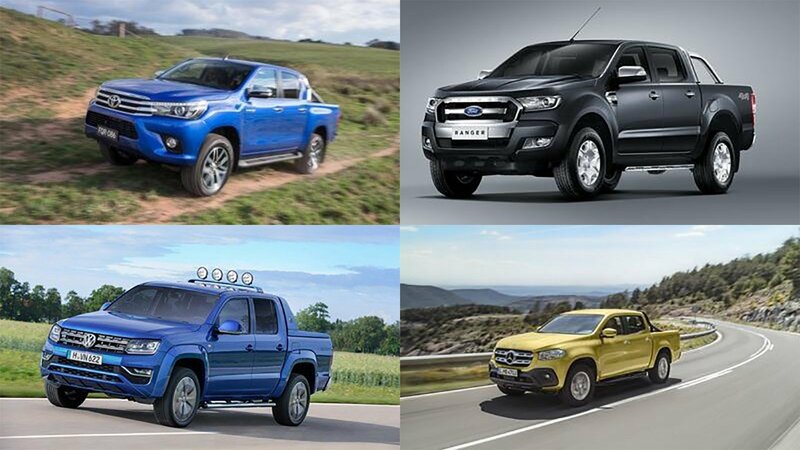 To find out, we placed it alongside some of its biggest competition, including the Toyota Hilux, the Volkswagen Amarok, and the Ford Ranger. And, since its possible Merc might bring the X-Class stateside eventually, we threw in the GMC Canyon Denali as well. Read on for all the specs and info you need, and let us know in the comments how you think the X-Class stacks up. Continue reading to learn more about how the Mercedes-Benz X-Class compares to the competition. 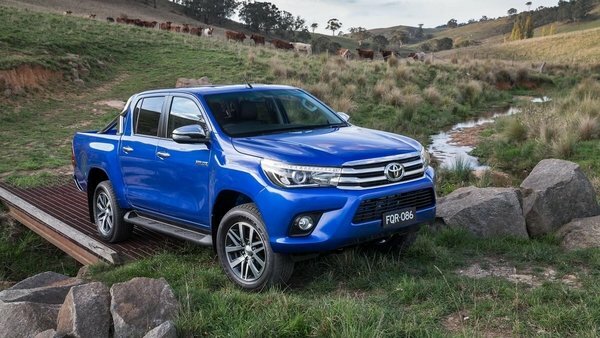 2016 Toyota Hilux originally appeared on topspeed.com on Thursday, 21 May 2015 16:30 EST.